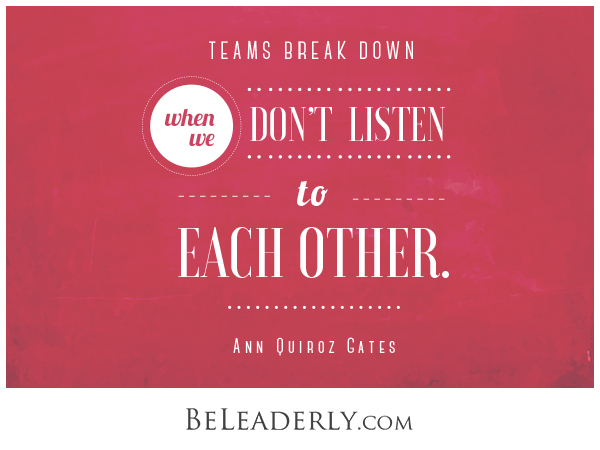 Leaderly Quote: Teams break down when we don’t listen to each other. One common behavior that can cause a team to break down is failing to listening. In a recent women’s leadership webinar, I interviewed Dr. Ann Quiroz Gates, who has researched how effective scientific and engineering teams are built, and asked her to describe some common barriers to teamwork. In high-performing teams, Gates observes, there’s often someone who is truly listening to the other team members. “Perhaps, they’re paraphrasing what someone says or validating what they have said,” says Gates. Read about my conversation with Gates, and our discussion about the common ways that teams break down, and how to increase your team’s effectiveness. Leaderly Quote: Don't think outside the box. Think like there is no box. My Favorite Salary Negotiation Tactic (That Recruiters Love, Too).